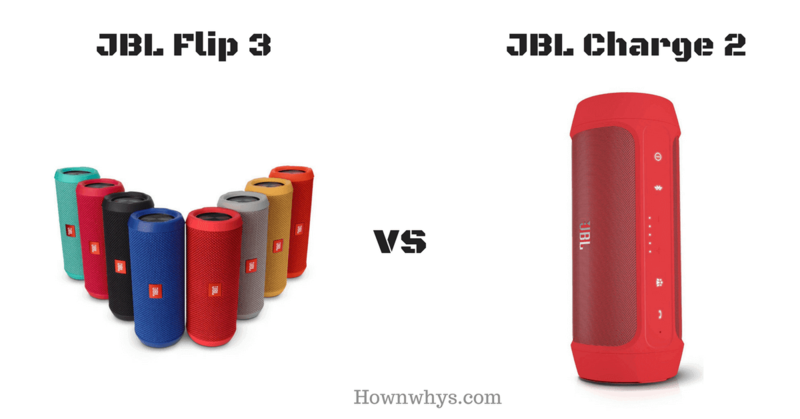 Home / entertainment / JBL Flip 3 vs Charge 2: Which One You Should Not Buy? 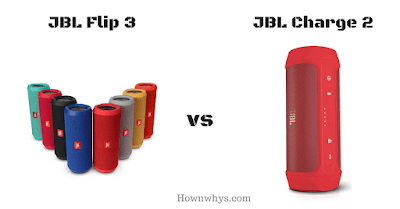 JBL Flip 3 vs Charge 2: Which One You Should Not Buy? American Company and the largest producer of loudspeakers, JBL has a wide range of portable speakers satisfying all kind of budgets. Here we will compare two of its very famous Bluetooth speakers and find out which one is worth your money and why. JBL is known for its excellent sound quality and extraordinary set of specifications in each of its products. And why wouldn't its sound be extraordinary after all it is owned by Samsung Electronics. The people who own a Samsung device or have ever used any of its smartphones, know that its speakers have marvelous sound. I also use its in-earphones which are amazing and work on almost all devices including tablets and laptops. Why am I telling you all this? 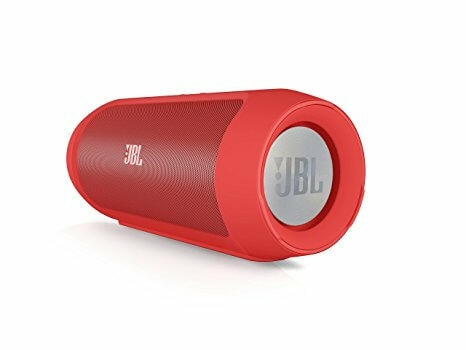 Well, it is so that you know that while comparing the two JBL speakers you need not worry about the sound quality difference because all its products will provide you a good sound experience. Then what's left to compare? There are still a lot of things that matter when it comes to choosing a best portable speaker, for example, the bass, highest and lowest frequencies, battery life, connectivity and much more. Also Read: Nikon D3400 vs D3300 - Which is the best DSLR for you and why? Flip 3 is the third in line of JBL's Flip series and has a more streamlined, splashproof design and better battery life. Launched in 2015 this speaker can be used vertically and horizontally without hindering the sound experience. It comes with good battery life with 10 hours of nonstop music capability and also offers a social mode where you can connect up to 3 smartphones and take turns to play the songs. All this at a price of $79.95. The JBL Charge 2 is an attractive and sturdy stereo speaker. It is known for its ability to play loud music with extremely strong bass. This speaker ensures you a rocking party night while offering 12 hours of continuous music. The best part is that you can also charge your device while listening to your favorite songs through the USB port available on the speaker. Though being such a good performer, it lacks the quality of being splash proof. Therefore JBL announced JBL Charge 2+, after making few changes to the previous model. This new speaker is splash proof and also comes with a case. It also has a built-in speaker so that you can take calls from your speaker with a touch of a button. JBL Charge 2 is now available for $129.99 and JBL Charge 2+ is currently available for $118. Now that you're briefed on both the devices let us compare each of their specifications to see which suits you the most. JBL Flip 3 consists of 3000 mAh battery with guaranteed 10 hours of nonstop music experience when fully charged. On the other hand, Charge 2 boasts a 6000 mAh battery which offers 12 hours of continuous music along with the ability to charge your device like a smartphone, tablet so that you are never out of battery while listening to your favorite playlist. JBL Flip 3 is settled at a slightly shorter height that of 64mm. Whereas, Charge 2 exceeds Flip by 11mm and settles at a height of 75mm. Also Read: Logitech G502 vs G602 - Which is the best gaming mouse for you? Charge 2 being bit taller than Flip 3 is also wider in diameter. Where Flip 3 is 169mm wide, Charge 2 is 184mm wide. Driver unit is a component that produces sound in the device. Bigger drivers are more powerful and can produce better base. Therefore the bigger the better. Charge 2 being large in size also possesses a bigger driver unit of 45mm, whereas Flip has a smaller driver unit of 40mm. Though the size is not much less to consider, sometimes little things make huge impacts. Devices with stereo speakers generally produce rich sound and offer a better experience because they deliver sound from independent channels on both left and right sides. Sadly, JBL Charge 2 is deprived of stereo speakers while Flip 3 is equipped with them. 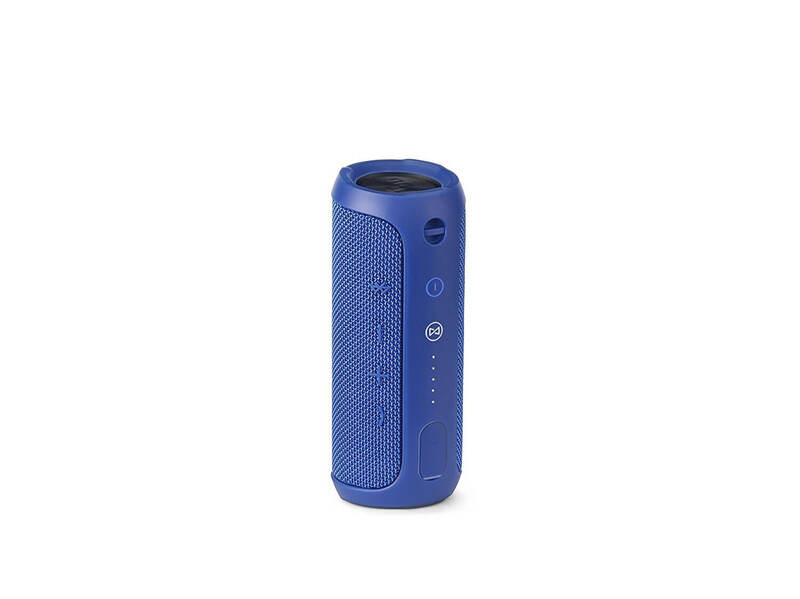 Weight is surely a crucial factor while deciding for a portable speaker as a portable device is the one which can be carried easily wherever you go or whatever you do. If a device has too much weight then it is definitely not portable enough. Here Flip 3 is first in the line of portable devices with a weight of 450 grams, whereas Charge 2 is 90 grams heavier. I think 90 grams is much to consider but being bigger in size it had to be heavier too. Here comes the most important factor that is the version of Bluetooth each of the devices connects to. Since here we are comparing two Bluetooth speakers, it is essential that you know if you are getting the latest version or not. I would like to tell you that Charge 2 connects to Bluetooth Version 3.0 whereas Flip 3 can connect to Version 4.1, which clearly is better and newer. An AUX input is a mini audio jack socket which allows you to play other audio sources by connecting them through an auxiliary lead. Simply, you can connect earphones or headphones to the devices through this jack. Luckily this feature is available in Flip 3 as well as Charge 2. These microphones are designed to cancel out any outside voice and play a significant role in providing good experience even in noisy environments. Charge 2 does not offer you this feature, whereas, Flip 3 does. Let me first tell you that being splashproof is completely different from being waterproof. So you must not think of them as one and the same thing. Splashproof means that if your device comes in contact with water mistakenly or someone happens to spill his drink on the speaker then no harm would come to your device. Whereas if a device is waterproof then you can dive into the pool with it. Clearly speaking you have the liberty to submerge it in water and it will come out perfect without causing any damage to the inside circuit. Here out of both the devices no one is waterproof. But you get the splashproof feature with JBL Flip 3 which means you can enjoy poolside parties while boasting of your new Bluetooth speaker. Also Read: Canon Selphy CP910 vs CP1200 - Which should you buy? JBL Charge 2 is overall a good speaker which provides you with high-quality bass experience. Though it's large design makes it little bulky to carry around, it still has a cool look that grabs everyone's attention. There are four vibrant colors to choose from. A large battery which provides 12 hours of continuous music along with charging your smartphone side by side, compensates for the extra weight. But if you spill your coffee too much then this is not the right choice for you. Flip 3 offers you with a lot of amazing features like the noise-canceling microphone and being splash proof. It's sleek design and light weight makes it perfect travel equipment. It comes in eight cool colors that you can match with your personality. The better version of Bluetooth adds to the reason why you should choose this over Charge 2. The drawbacks include its small battery life and lack of charging point through which you can charge another device. On the basis of the features offered by both the devices, it is very clear that Flip 3 is way better than Charge 2. Flip 3 lets you enjoy more at less price and I don't see any good reason for spending $50 more on Charge 2 when I can get all the similar features in the former. If you want to go for a good battery life and better bass quality then you must buy Charge 2. But if the battery is not your concern then you must go with Flip 3. This was our choice. What do you choose? Share with us the comments. Many users become too much confused while buying gadgets, this is really a helpful for these type of people. It's a nice post keep it up.